Written by Jeremy Whitley. Art by Brenda Hickey. Cover by Zachary Sterling. Journey back in time to discover the secret origin of Canterlot Castle! 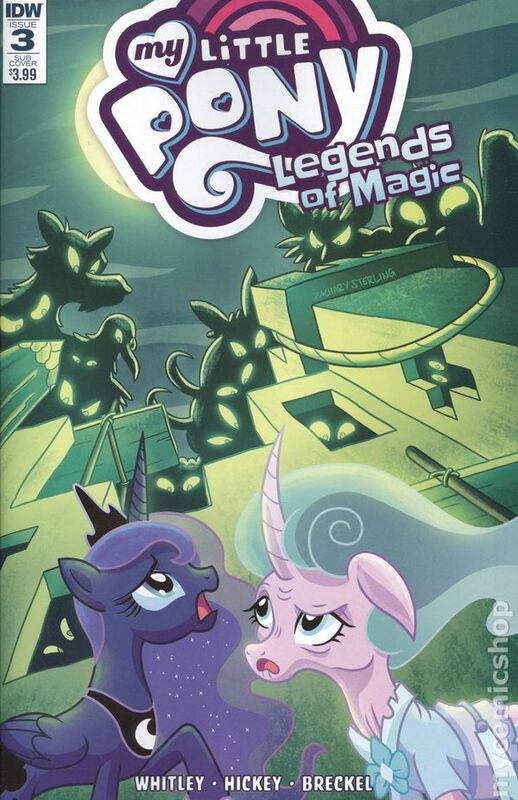 Will the legendary Mistmane be able to save the castle from the mysterious forces sabotaging the castle's construction? 28 pages, full color. Cover price $3.99.